My roommate is a very talented cook, and baker by profession so I figured was worth creating a section of my blog to highlight some of her meals. This is a lifestyle blog and my lifestyle is not complete without my nightly dinners with friends prepared by my very gifted best friend, Jackie. I personally am an aspiring cook, “aspiring” being they key word. However, to be honest most of the time I just sit in awe of Jackie. 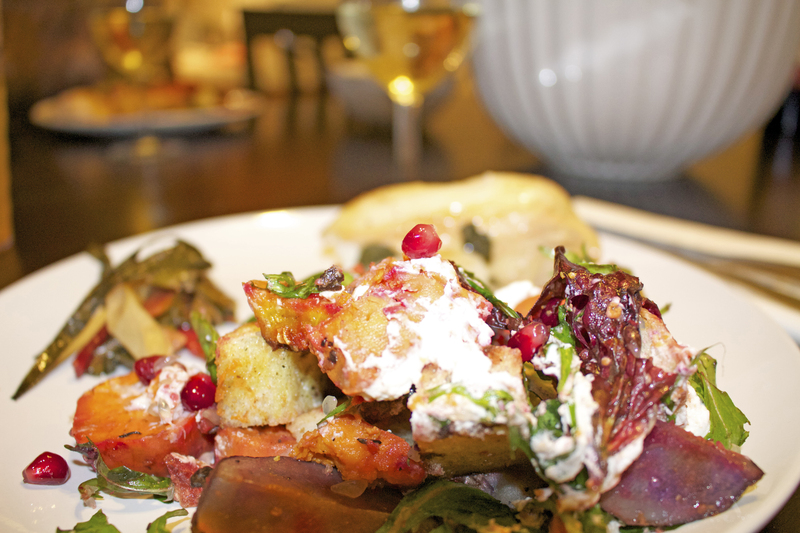 Her ability to take what ingredients she has and create a fantastic dish is a true talent. I, on the other hand, get upset if I go to a restaurant and they don’t have my go-to menu item: the cheeseburger. She’s helped me expand my food palate, which is remarkable considering the list of foods I don’t want to eat or even try is longer than the list of what I will. We haven’t even shared an apartment yet for a year and I’m already eating three times more vegetables than I have my entire life. So, how do we manage to have these fantastic meals every night? Jackie, our neighbor,and I have an arrangement that works well for us at this point in our lives. We all split grocery costs, Jackie makes the meal and our neighbor cleans up. Every single night we sit down and have a” family” dinner. It’s fun to pull together all the ingredients we have in our apartment and our neighbor’s and create these amazing meals. 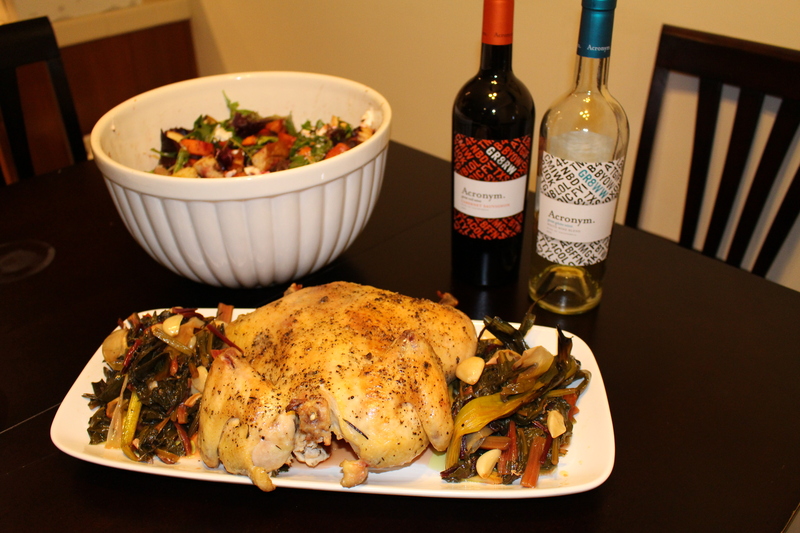 We also welcome friends to our nightly dinner, on one condition-they bring a bottle of wine to contribute. The wine is a dinner staple and it’s also a great deal because I know nothing about wine, besides that I only like white wine so I’m trying new ones each night. At this meal, pictured here I tried Acronym wine which I’ll admit at first taste seemed to bitter for me but after another sip I realized it was more of a fruity flavor which wasn’t bad at all. I’d definitely buy it again because it is incredibly affordable for one, and tasty! This whole arrangement has been nothing but fun so far and I find myself excited to go home each day to share food, wine, and laughter with all of our friends. 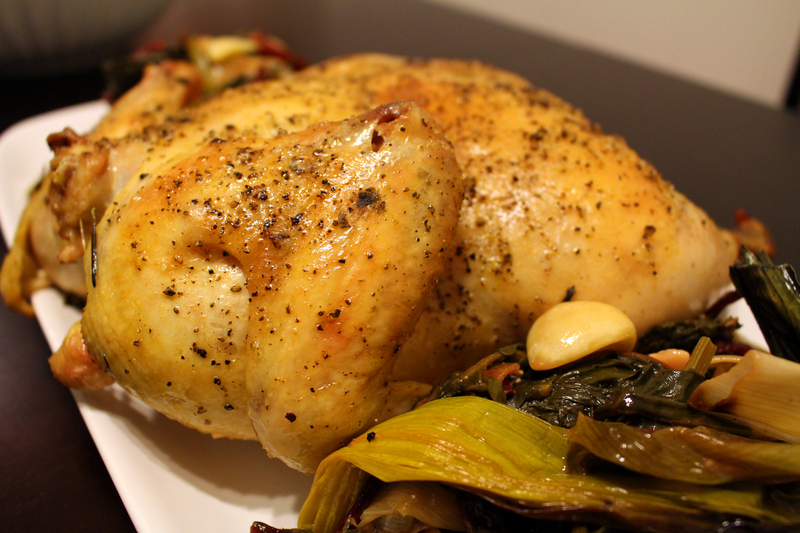 Roasted chicken with beet greens, rainbow chard, and leeks. 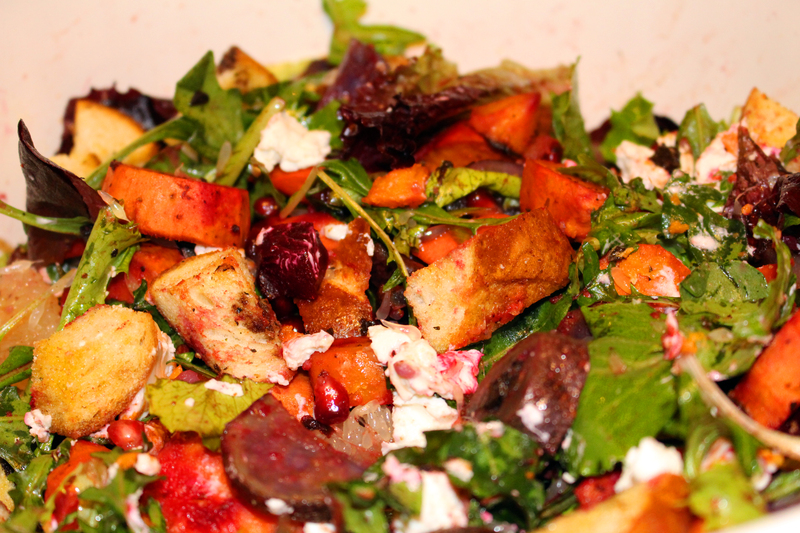 Root Veggie Salad: Gold and red beets, purple potatoes, carrots, sweet potatoes, arugula, mixed baby greens, green onions, pomegranate seeds, with an Oroblanco and black garlic vinegarette.